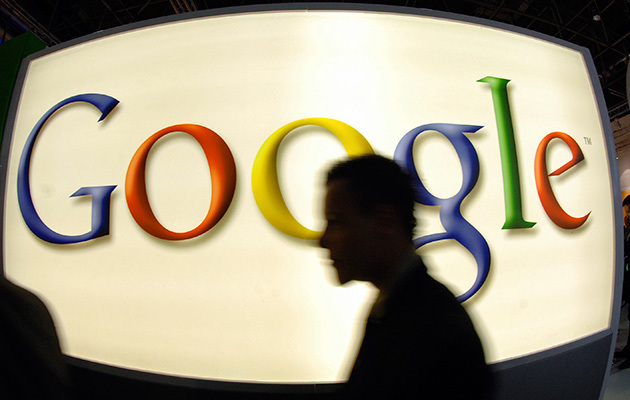 Google showed a .03% increase in search share in October of 2011, according to the most recent tally from Comscore. The search giant gathered the lion’s share of the market, with a 65.6% share. In comparison, Yahoo! 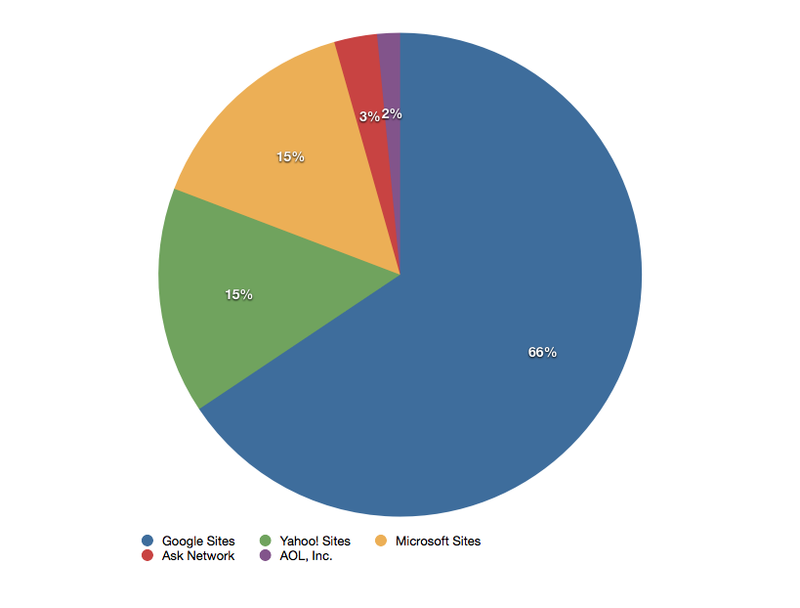 came in at 15.2% and Microsoft clocked in at 14.8% with their combined search sites. Ask and AOL rounded up the end of the pack with 2.9% and 1.5% respectively. All searches were up, contributing to highs across the board from every search engine, with more than 18 billion searches performed. Google’s queries hit 11.8 billion in October, while Yahoo! 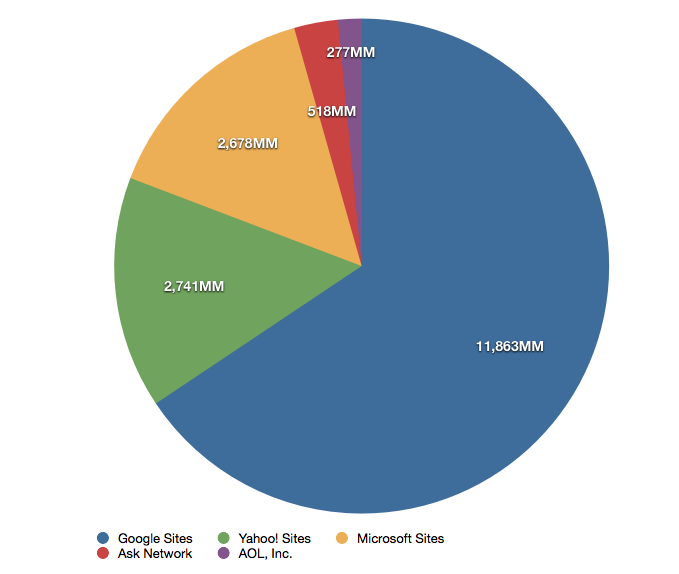 sites gathered in 2.7 billion and Microsoft sites, including Bing, brought in 2.6 billion. Comscore’s numbers this time around represent explicit searches, rather than all searches including contextually driven searches that appear alongside other queries and products for Yahoo! and Google properties. That means these numbers represent a decision by a user to perform a search, rather than an incidental search that happens while using one of the properties of the companies here.